We've all been there: You spend precious morning time applying and blending your eye makeup, only to see it fading and creasing by lunch. We're not makeup divas by any means, but getting all of that layering just right (especially in the wee hours before we're properly caffeinated) takes time, energy, and focus — and when it all pulls a disappearing act at 2 p.m., it's enough to make us wonder why we even bother in the first place. The answer to this age-old beauty annoyance? Eyeshadow primer. These powerful potions are designed to create a barrier between the oils on your lids and your eyeshadow of choice, allowing the color to adhere properly and last much longer. To learn whether these products truly make a difference, we rounded up four of our lovely colleagues and assigned them each a primer to wear all day. All four girls applied a primer, topped it with the same drugstore shadow (the charcoal shade of the L'Oréal Color Riche Eyeshadow Quad in Cookies & Cream), and we shot them in the morning and again in afternoon to see how their color wore throughout the day. Check out how each product did, and then let us know — would you consider adding a primer to your makeup routine? "I do wear makeup on a daily basis, but I like to keep it very simple — a five-minute face. 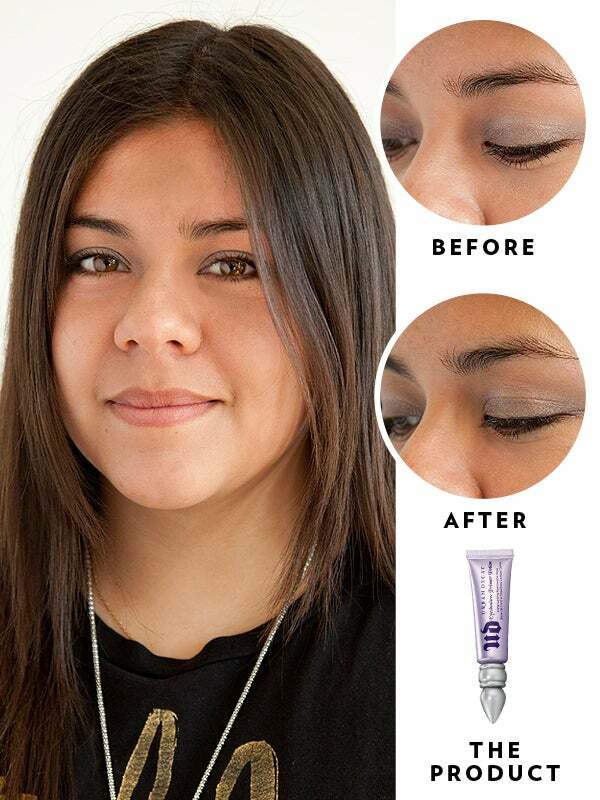 "The NP Set Eye Primer went on smooth and it felt more diluted than other primers I've used. I liked the texture, because it seemed that you could build up the thickness of the product as you're applying. I don't like anything that feels like paste on my face! "The eyeshadow went on smoothly over the primer and the primer felt moisturizing, but not greasy, so I didn't see any noticeable creasing throughout the day. The eyeshadow did seem to fade a bit as the day progressed, but definitely stayed better than if I had not used a primer at all." The Result: "I like the product and would absolutely give it another try. Since this primer felt more lightweight than the one I typically use, I would consider incorporating it into my daily routine!" NP Set Eye Primer, $15, available at Target. "I usually wear eyeshadow or eyeliner — or both! — every day. 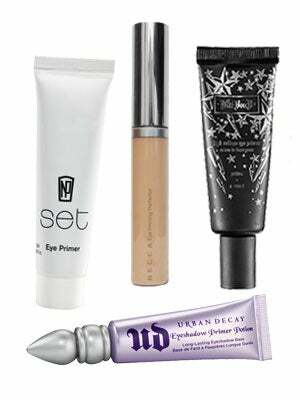 Typically, I use the Urban Decay primer, and I really need it to keep eyeshadow from wearing off or creasing on my lids. On the days I get lazy and forget to use it, I definitely regret it, especially with darker shades of eyeshadow. I was excited to try a different product, and compare it with my previous primer experience. 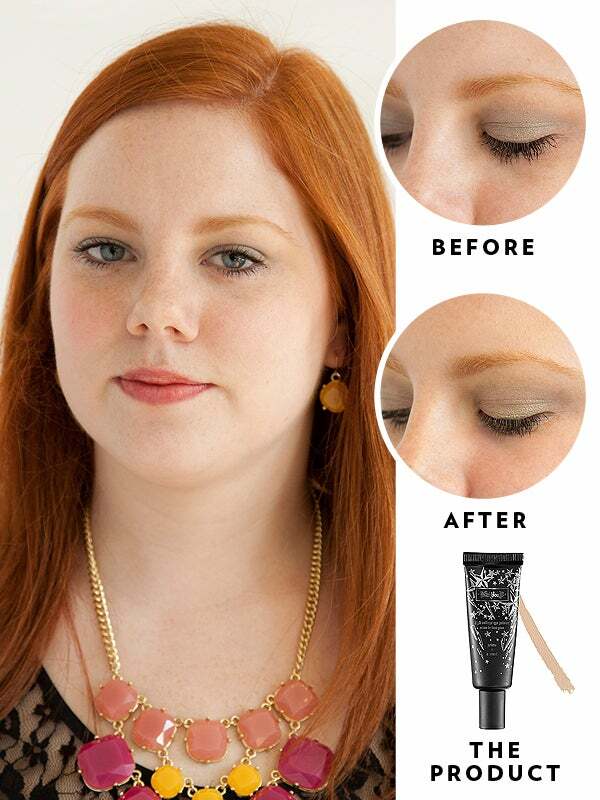 "The Becca primer applied easily, dried quickly, and blended well. I use my fingers to apply shadow, so I can make it denser in some areas and lighter in others, but it went on smoothly in either case, and did not get cakey. The product wasn't especially moisturizing, but it didn't feel like it was drying my skin out, either." The Result: "At the end of the day, the primer held up well with the shadow and didn't crease at all. It didn't feel heavy or thick, either. I really liked the product, and I would use it again." Becca Eye Priming Perfector, $24, available at Sephora. "I would love to say that I am a low-maintenance girl when it comes to makeup, but that's never been my style. I wear full eye makeup every day — and I am not a fan of reapplying. As far as I am concerned, once you leave your house, you shouldn’t have to worry about your makeup again. 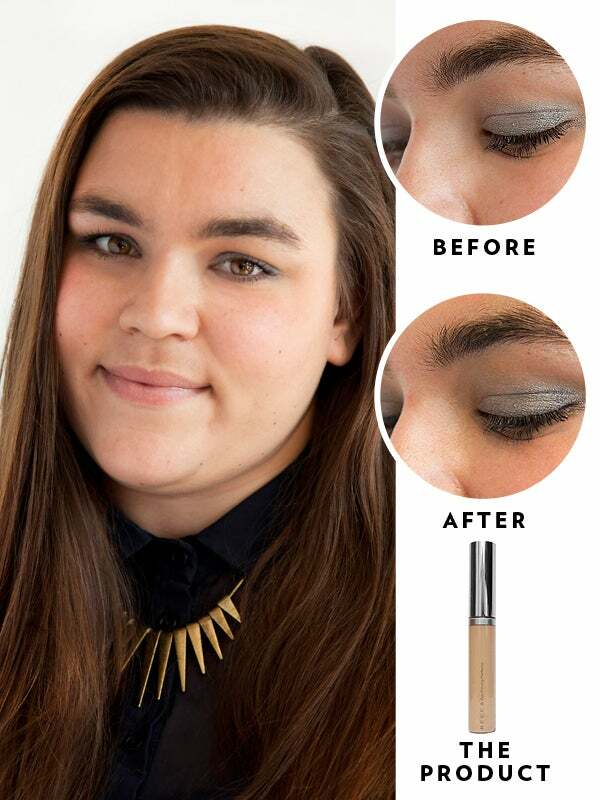 "As a product junkie, I was excited to try out a new eyeshadow primer. I was hoping that the Kat Von D product could add something new to my makeup routine. It was easy to apply and went on smoothly, but it was a lot thicker and darker than what I am used to wearing. This might be because it is both a primer and corrector, but I am so pale that I would never ‘correct’ my skin with anything that dark. The "universal" beige shade looked odd with my skin and changed how the silver eyeshadow appeared. "The shadow went over the primer smoothly, and lasted the whole workday. But, I could tell the color was starting to fade by the time I left work, which doesn’t really go with my philosophy of avoiding touch-ups. I am not sure if this primer would keep my shadow on for the full 17 hours that I have experienced with other primers. I also wasn’t a fan that I could feel it on my eyes all day, since it is a heavier formula than I am used to." The Result: "I think this product would be great to wear under dark or bright shadows because the thicker formula would create a perfect, smooth base for a high-impact look. But I don’t love it enough for everyday use." Kat Von D High Voltage Eye Primer, $15, available at Sephora. "I usually wear eyeshadow 4 or 5 days a week, and line my eyes with liquid eyeliner at least once a week. When I do this, I don't usually wear primer, because too many layers of product become involved and eyeliners can get very thick. 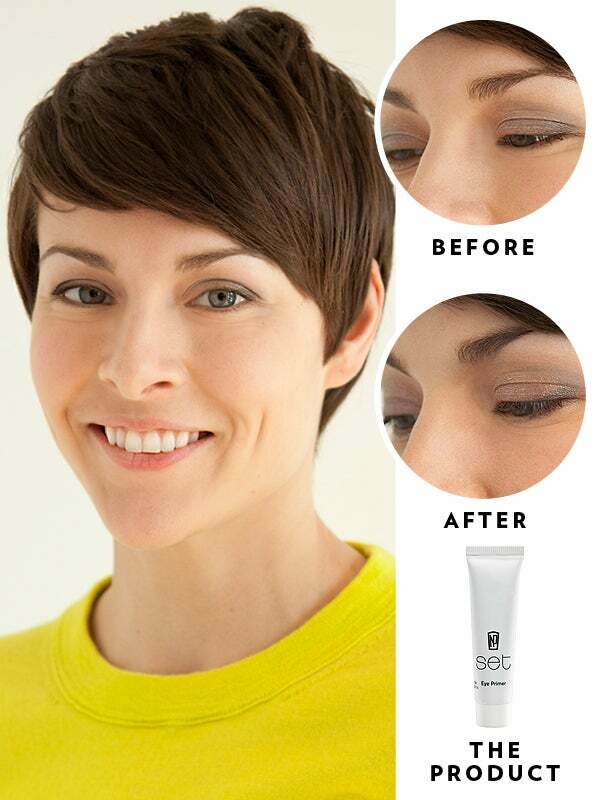 "The primer applied smoothly, without sticking to my fingers. When I went to apply my shadow, I felt like I was applying my eye makeup to a really smooth canvas. I loved the subtle glow it gave to my eyelids. The product felt moisturizing, but it had a matte finish." The Result: "Happily, my eyeshadow never creased, and although my eyelids usually tend to get oily, they didn't this time. I really loved the product and wouldn't hesitate to become a loyal buyer!" Urban Decay Eyeshadow Primer Potion, $20, available at Sephora.